Aqua Aura XS (1" - 1-1/2") - 1pc. 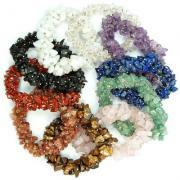 Aqua Aura Small (1-1/2" - 2") - 1pc. Vogel Style 6-Sided Aqua Aura Quartz DT Wands (China) - Our Vogel Style 6-Sided Aqua Aura Quartz Double Terminated Wands are cut and polished from high quality clear Quartz. These Quartz DT Wands come from China. These Vogels are 6-sided and are inspired by the original design created by Marcel Vogel. Even though our Vogels do not follow the exacting angles and specifications set by Marcel Vogel, these vogel wands are still powerful energy pieces. 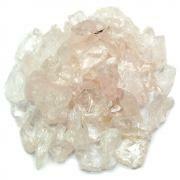 Aqua Aura is created when Clear Quartz crystals are super-heated in a vacuum and infused with vaporized Gold. This precious metal condenses onto the surface of the quartz crystal to form a permanent bond with the lattice of the quartz. By combining the vibrations of Quartz with Gold, a synthesis of unique vibrations is created. 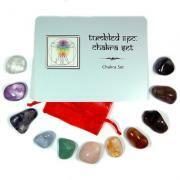 Aqua Aura is wonderful for meditation and healing work. 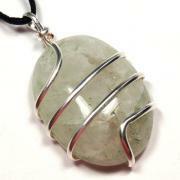 It is a fantastic metaphysical stone and the vibration is simply amazing! 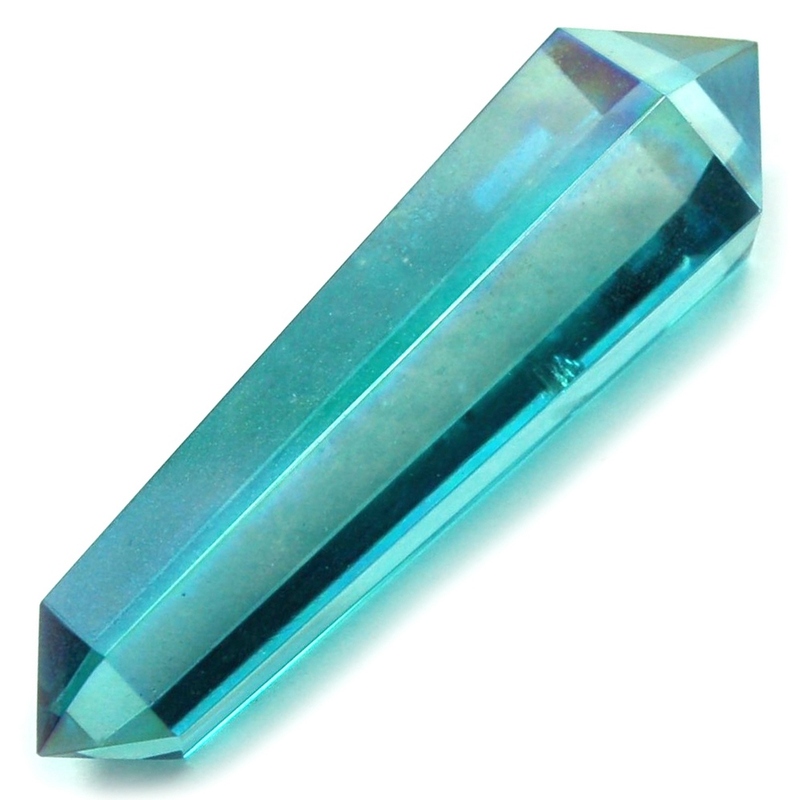 Aqua Aura is especially good for distance healing work, and can also help protect against psychic attack by raising vibrations to higher, more positive levels. Many people use the strong but peaceful energies of Aqua Aura to fill in holes in the aura and to stimulate all the chakras. 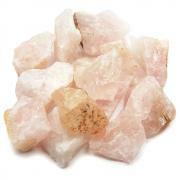 Many people also use Aqua Aura to help them release negativity from the various subtle bodies. By combining the Sacred Geometry and high energies of Clear Quartz with the Sacred Geometry of the 6 cuts in the Vogel Wand, these Wands have a unique vibration that can be used for healing, meditation, ritual, and/or manifestation work. You can use these Clear Crystal Vogel Wands to focus energy and intention in your crystal grids, energy sessions or in your meditations. Affirmation: My spirit is limitless. Question: Do you find that you speak your mind, or speak from your heart more often?